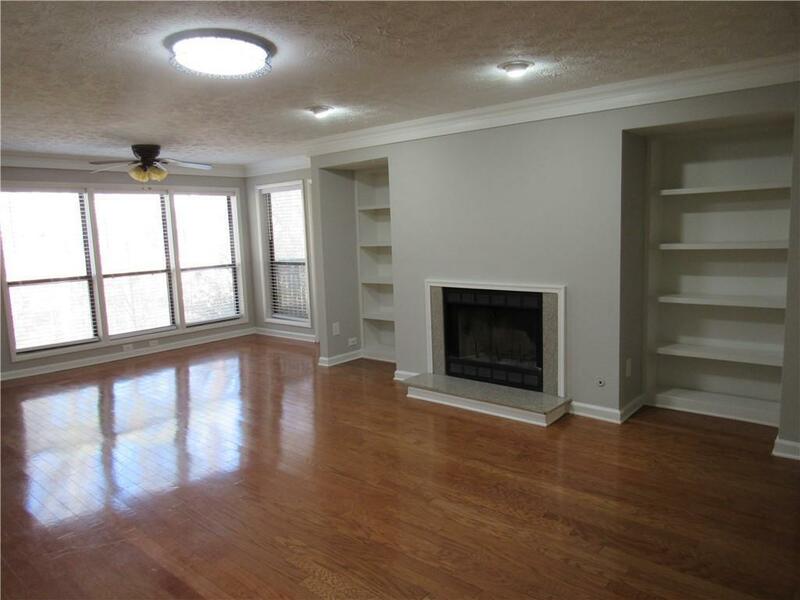 Great HUGE size of 1 bedroom and 1 full bath, open floor plan condo in Dunwoody. 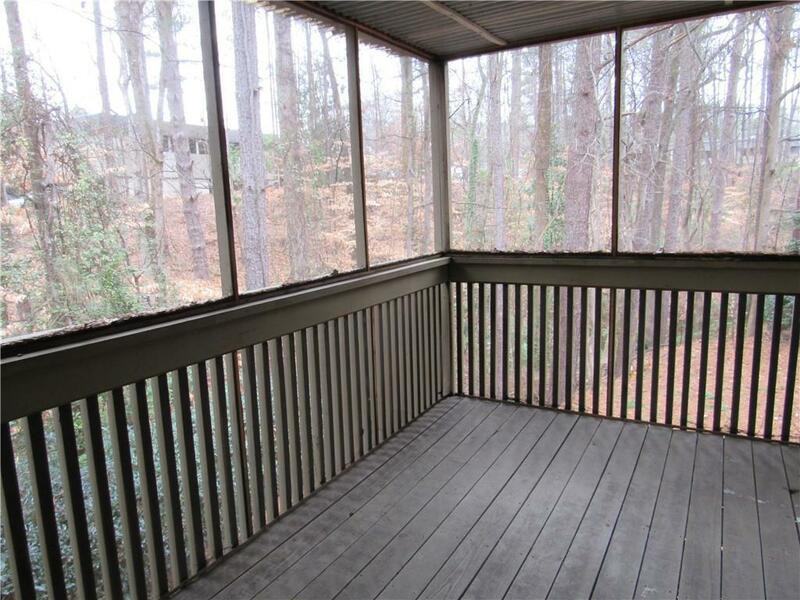 The unit only minutes from HWY 285, 400 and Perimeter Mall. 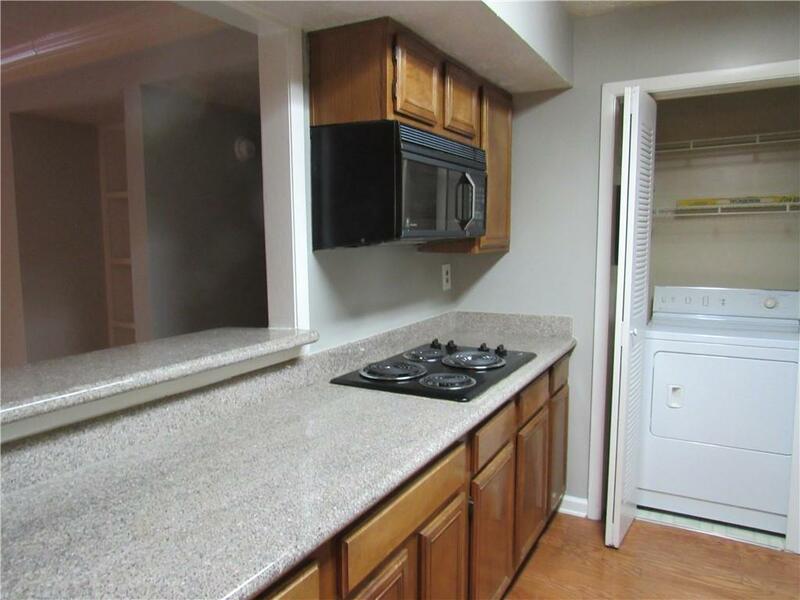 Total updated bathroom with new shower room, faucets, cabinet etc.. New paint inside entire unit, all LED lights and Hardwood floor on entire unit except tile in bathroom. Has private overlooking wood view screen porch, corner end unit, door to bedroom and great room, built book case, fire place in great room, unlimited guest parking, and swimming pool. 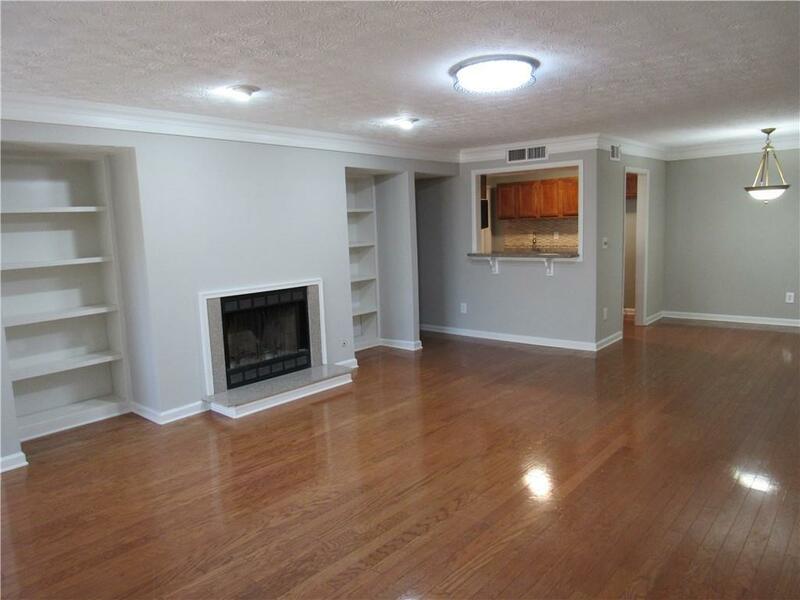 EXCELLENT POINT FOR A LARGE ONE BEDROOM IN SAFE AND APPRECIATING AREA.